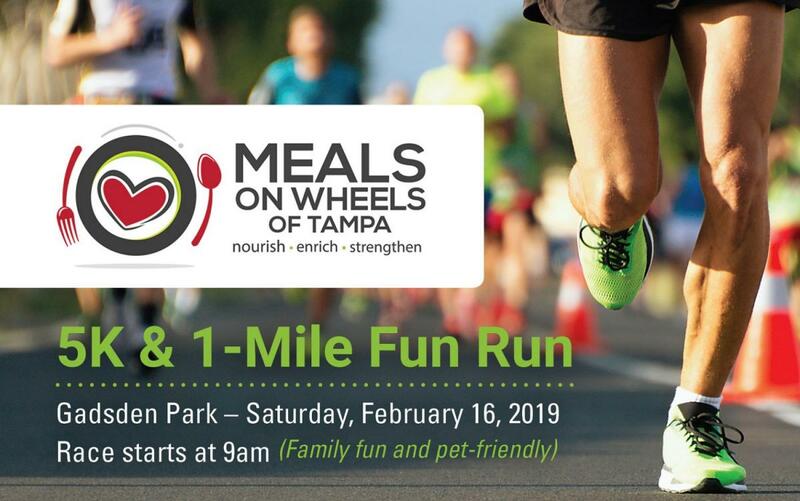 The 2nd Annual Meals On Wheels of Tampa 5K & 1-Mile Fun Run is a vision brought to fruition by a team of Tampa’s brightest high school students with the objective of raising awareness and funds for Meals On Wheels of Tampa. These students, who make up the Meals On Wheels High School Leadership Board, are tasked with enriching the lives of Tampa’s homebound seniors and neighbors through one project a year. Recognizing the many benefits that movement has for homebound individuals, this year’s project will focus on ways to stay active at home including providing exercise bands.